Rainstorm257 shares 4 characters they think deserve more recognition. 1) Violetshine- Violetshine is truly a hero amongst the clans. 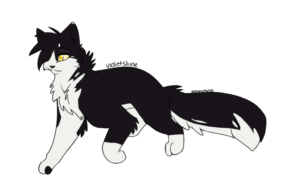 She saved ShadowClan and part of RiverClan from the rogues, and she came up with a rescue plan to save the remaining SkyClan cats who were stuck with the humans. She doesn’t give herself credit because she did let her best friend die, but that was only because there was hardly anything she could do to help. Her sister, Alderheart, Finpaw and a lot of other cats act as though Violetshine is a rank Twigbranch. In the end, Violetshine has done a lot more heroic things than most cats and none of her rescues were in vain. 2) Hollyleaf- Hollyleaf has good ideas and plans that have helped the clans, but Jayfeather, Lionblaze and even Sol get a lot of the credit. She is also strongly looked down upon because she killed Ashfur, but technically Ashfur tried to kill Firestar, Lionblaze, Jayfeather and yes, Hollyleaf. So in a way, Hollyleaf did a deed for the clans, because Ashfur would probably kill some other important cat like Leafpool or Bramblestar. In the end Hollyleaf sacrificed er life for the clans and went on to StarClan’s heavenly ranks. 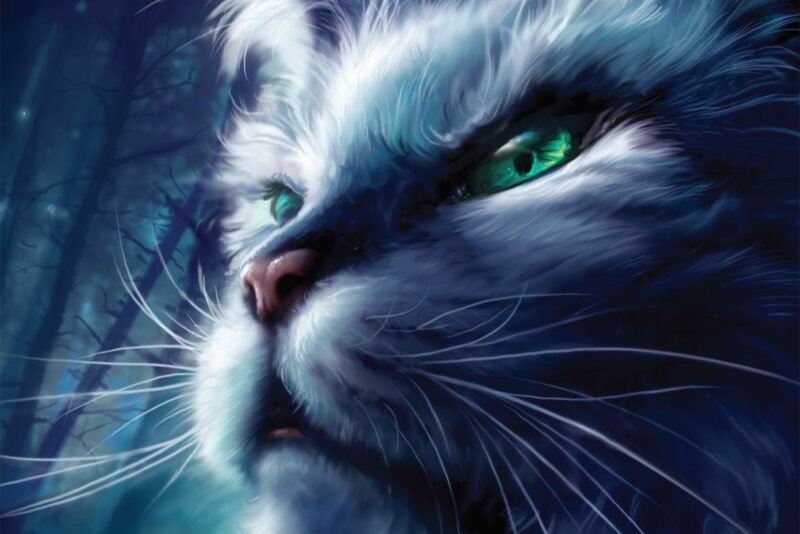 3) Thistleclaw- Okay, come on, if Ashfur went to StarClan then why didn’t Thistleclaw? I mean before he died Thistleclaw only killed a couple cats, who were already dead and in the Dark Forest. He killed Dark Forest cats, that is kinda the goal for most warriors in the Great Battle. Maybe if Bluestar had treated him better he would be nicer, I mean come on Ashfur is a ruthless murder machine who didn’t actually kill anyone because he wasn’t manipulative enough. Anyway, my point is Thistleclaw wanted to be the best warrior possible while Ashfur wanted to get revenge. Maybe if Snowfur had survived he would have a different destiny. 4) Mapleshade- Mapleshade was a brilliant warrior, in fact she was very much like Bluestar. However, unlike Bluestar, Mapleshade’s Clanmates were fox-hearts. Bluestar had Spottedleaf, Featherwhisker, Thrushpelt, Graypool and Oakheart to help her, while Mapleshade’s medicine cat revealed Mapleshade’s secret, no cat stepped forward as her mate, and Appledusk neglected her and turned her away. Mapleshade deserves more, more than what she was given. I completely agree with Violetshine, Mapleshade, and Hollyleaf . Not Thistleclaw, though, all he did was battle and yearn for power and all he wanted with his Clan was to have control. He deserved the Dark Forest, honestly. I agree! I only slightly disagree but overall agree with Thistleclaw. I agree with all of this except Thistleclaw he is just bad, just bad. Violetshine, Mapleshade, and Hollyleaf, yes. But Thistleclaw… not so much. 😛 Nice article, though! I agree with all of them! Even though Mapleshade went insane in the end, she was still a great warrior. Thistleclaw was a great warrior as well, but he did have a little too much ambition for his own good. I agree with you (beside the Thistleclaw part 😉)! In fact, Mapleshade, Hollyleaf and Violetshine are on my favourite characters list 😆! Nice article 😸! Awesome article, Rain!! YES HOLLYLEAF IS AMAZING!!! 😍😍 And Mapleshade for the win!! I really want to experience/know more about Thistleclaw’s character more so I can actually have a true opinion on him (I still haven’t read Bluestar’s Propehcy).